Xfrog is a 3D graphics program, used for organic modeling and animation ( Xfrog Full Version only ), which runs on all flavors of Windows. We recommend minimum 256 Mb RAM, and hardware or software support for OpenGL. 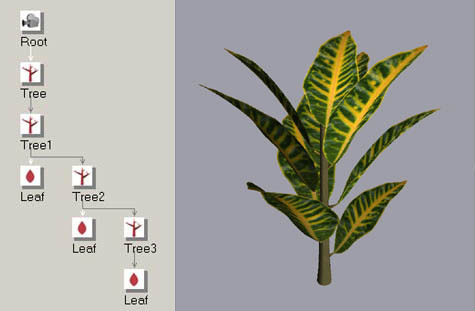 Create Trees, Flowers, Organic-Iterative Architecture, Abstract work, Special Efx work with our standalone application. The Philosophy behind Xfrog is to offer various mathematical procedural components, to provide a way to simulate various types of mathematical structures found in Nature. 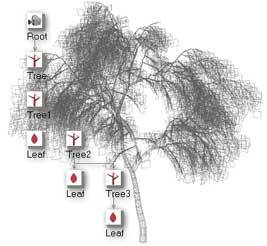 For example - a Tree component, which simulates the way real trees branch. 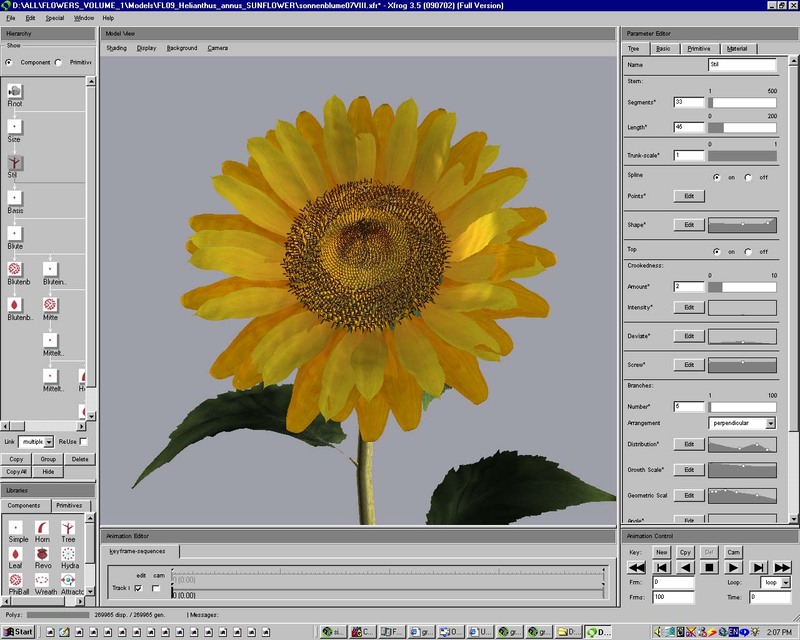 A Phiball component, which simulates distribution of the golden mean across the surface of a sphere, which is commonly found in Flower centers ( such as the Sunflower above ). Simple, Horn, Tree, Leaf, - These are used to build. Revo, Hydra, Phiball, Wreath - These are used to multiply and distribute in specific ways. Attractor, HyperPatch - These are used for local or global distortions. All the components can be animated by varying their parameters, such as number of branches, crookedness, randomness, strength of attraction, gravity, phototropism. 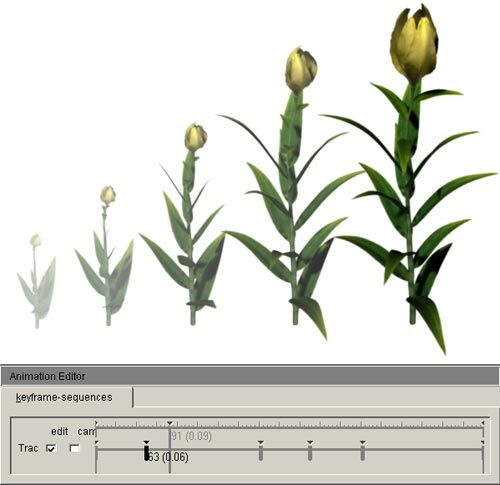 With such techniques, a quite convincing Flower can be built and animated very easily , or a Tree can be modeled and grown. Or an Architectural model can be constructed using components which describe a multiplied sequence of elements around a corkscrew path.